Watching the ball drop in Times Square isn’t the only way to celebrate a new calendar year. To uncover other gems, we surveyed over 1,000 people to find out where the best New Year’s Eve celebrations in the U.S. take place. Whether you want to attend a decadent masquerade ball or view fireworks from a cruise on the ocean, here are the top 4 destinations to bring in the new year outside of New York City. Honolulu, Hawaii – For a warm, oceanside New Year’s celebration, Honolulu is the perfect city. Head down to the neighborhood of Waikiki, known worldwide for its surfing and a gorgeous shore that’s lined with high-rise hotels. 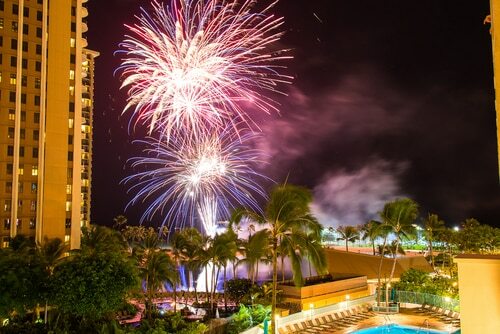 Begin the evening with Tiki’s New Year’s Eve Starlight Soiree Dinner & Party before you wander down to midnight fireworks on the beach, complete with a countdown firework every minute from 11:55pm to midnight. When the new year begins, that’s when the real show starts. If you’re looking for something a little different, attend a Masquerade Ball or a lavish party at an oceanfront poolside night club. You can even skip the land altogether with a dinner cruise that includes views of the fireworks from out on the water. During the day, check out the whale-watching in Oahu and catch a glimpse of over 10,000 humpback whales that migrate from Alaska to the warm Hawaiian waters for the winter. Or, you can jot down some resolutions after trying an attempt at surfing. Newcomers beware – it’s harder than it looks. Maybe mastery is one more resolution to add to this year’s list. 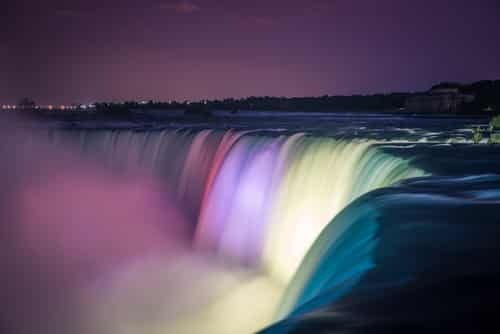 Buffalo, New York – Buffalo has been “dropping ball” (literally, of course) on New Year’s Eve for over 30 years, from its Electric Tower to the largest crowd in New York outside of Times Square. 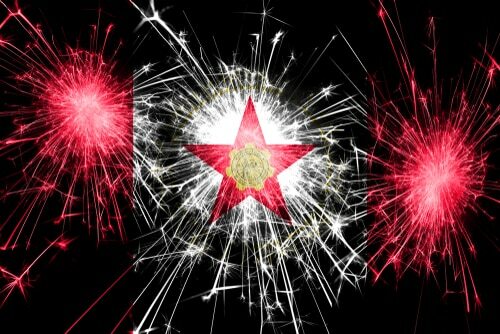 If you’re bold enough to brave the cold, you’ll get to see an impressive fireworks display once it hits the ground. On New Year’s Day, you can go cross-country skiing in one of Erie County’s gorgeous parks from 10 a.m. to dusk, or visit Niagara Falls for a snow-capped, ice-covered winter view that can literally take your breath away. For those with thinner coats, there are plenty of indoor options that will still make for a memorable night to start off the year right. You can dress to the nines and attend the Ice Ball at Statler City, complete with an excellent menu, a premium open bar, live music, and a champagne toast. Or you can spend New Year’s Eve at the Big Ditch Brewing Company with craft beer, a DJ, a full menu and a complete (indoor) view of the Electric Tower Ball drop and fireworks show. Atlanta, Georgia – Atlanta is one of football’s destination cities, and this year it plays host to the Chick-Fil-A Peach Bowl on New Year’s Day for college fans. On New Year’s Eve, dress to the nines, grab a mask, and head to the roof at Ponce City Market to say goodbye to 2018. Live music, food, and drink accompany views of the night sky for this ‘Mask of Midnight’ New Year’s Eve party. Forget to pack your finest? Attend Atlanta NY Electric 2018 for two ballrooms filled with live electronic music 73 stories above the ground. You won’t miss the fireworks with their special indoor ‘electric’ countdown. Or, for something different, flip the last page on the calendar at the Georgia Aquarium’s Black and White New Year’s Celebration, where you can support research and conservation efforts while enjoying an open bar, late night bites, and a midnight champagne toast in the Ocean Ballroom. 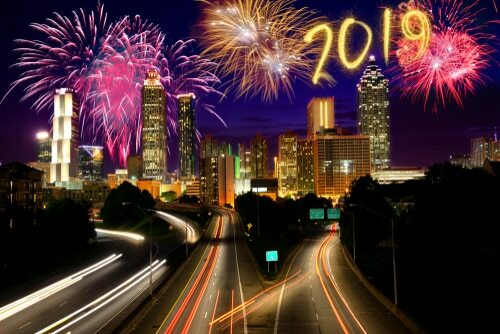 For the family, head over to the Children’s Museum of Atlanta to participate in the New Year’s Bubble Bash, full of activities, dancing, and bubble-wrap fireworks. Don’t worry about keeping the kids up late – the ‘midnight’ countdowns happen at noon and 4 p.m. so you can share the fun and slip out later. Birmingham, Alabama – Looking to bring in the New Year like it’s the roaring 20’s? Last year’s Root & Revelry’s Annual New Year Event included a ballroom straight out of The Great Gatsby and a prohibition-era speakeasy (keep an eye on their Facebook page for an announcement of this year’s theme in December). For a modern evening of chance and fortune, try your luck at The Mill Two Eighty for New Year’s Eve Casino Night. For the live music aficionados, Birmingham offers an evening of indie and rock bands to wrap up the year at the Nick, featuring The Burning Peppermints, Captain Kudzu, and Dree Leer. Or, for the family, check out the ZooLight Safari which features over one million lights and a meet and greet with the characters from the Disney classic Frozen. Wherever you decide to celebrate, make sure you start off the year right with an experience you won’t forget. VacationRenter can help you book your stay and plan the best trip possible.